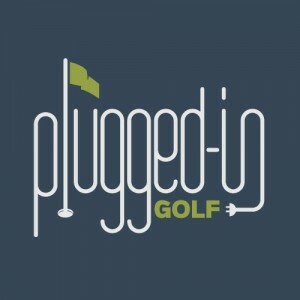 HoleOut, a new San Diego based company, has just released their first line up of six golf products covering both playing and training tools. I’ll give you a quick review of each below. 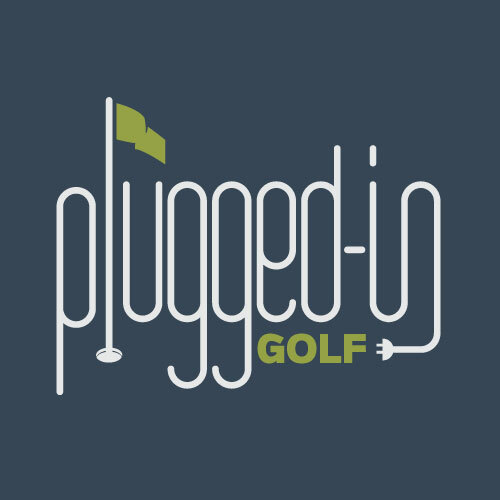 Like most new companies, the founders at HoleOut began with ideas on how to make golf more enjoyable. After a few years of development they have come up with some interesting new products and some big claims. Overall, the packaging is very appealing and products are made well (and in the USA to boot). The PerfecTowel is proclaimed by HoleOut to be “the best golf towel ever”, which is akin to “best coffee in NY City”: easy to claim, hard to prove. Turns out this is a really great towel for a couple of reasons. One, the size – at 1 foot square it doesn’t hang too low on your golf bag. Two, the waterproof membrane inside the center flap really lets you have a wet side and a dry side. And three, the six-surface design allows the player to utilize the sides as they wish for cleaning clubs, balls, face, grips, etc. The plastic hook is nice and did attach easily to my putter shaft, but I personally didn’t use it as advertised for carrying the towel to the green and then hanging it from my belt or pocket while putting. That’s just not how I operate. It did also attach easily to the accessories hook on my golf bag where I now use it. Regardless of where you attach it, $21.95 seems a fair price for a premium quality towel with multiple features. The TowelCaddy allows you to perform the above mentioned towel-to-green ritual but with your own towel. Again, not something I will do, but there are golfers who love to have their towel attached to them. No matter where you attach your towel , at $5.95, it’s way classier than a cheap metal ring. On to our next claim of “the world’s greatest ballmark holder” – the HoleOut Pro. By completing only four steps of this kit, your putter will have an attached ball marker. Sound too good to be true? Wait there’s more. With a mere three additional steps, including a little calibration that only requires a basic understanding of string theory, that same putter with ball marker will allow you to become a “green reading machine”. Hold on now. As far as that last part, the calibration is nothing more than determining the orientation of your putter required to obtain a vertical edge, and you don’t need this kit to determine that. In fact, their own The HoleOut Method web page and video even says such. From there it’s basic plumb bob green reading. I struggled with this product because, as a reviewer, I’m willing to try anything except destructive testing. Cutting a hole in the top of even my teaching putter grip (my good putter doesn’t go to The First Tee classes) and thus having to leave this “tool” attached made me cringe. Frankly I don’t see anyone going to the effort of attaching this device in order to have a handy ball marker. And at $29.95, there are less expensive and less intrusive options, including putter grips with builtin ball markers, not to mention ball marker clips for hats and belts. And many of us like to lean on our putters around the green which this holder wouldn’t allow comfortably. Sorry, my review ends at opening the box and observing the warning-covered Xacto knife. To make sure I wasn’t being unreasonable, I showed the HoleOut Pro to a few other golfers who came to the exact same conclusion. The AntiSway is a training aid that is fairly easy to use and provides instant feedback. As it name implies, the AntiSway helps golfers understand swing mechanics and the importance of a stable base. You can use the device on the outside of your back foot to feel lateral sway, or behind it for feedback on straightening your leg. On the range it was a bit awkward to get my stance ready and then slide the device under my foot. When I tried starting with the device in place, it was challenging to then get the ball in a good spot. I also had to remind myself to release my back right foot and not worry that the device is going to fall over. Using the AntiSway efficiently really requires a practice partner, but that also makes it a good device for instructors to use with students. 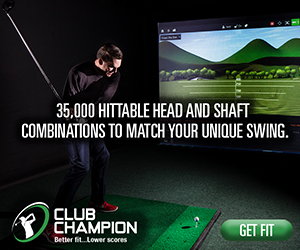 The AntiSway is also great for practice swings indoors or in your yard, especially focusing on your backswing. The $34.95 price tag is a bit expensive for what you get, but it will last a lifetime and if you eliminate sway, your game will most certainly improve. The AntiSway Pro looks to address both directions of sway at the same time. The box contains two AntiSway units, an arm to connect them, and an elastic cord to keep the device attached to your foot. Setup is simple, but I did have trouble getting one of the screws to engage. The elastic band does make it easier to adjust your stance than a single AntiSway, and it allows you to quickly be in position to hit another ball. It feels a bit strange to be finished on your back toe with the device still attached, but it is nice to be able to start another swing quickly. If you practice by yourself, the Pro upgrade is definitely the way to go, but $64.95 seems a lot to ask for the added convenience. The sixth and final product of the HoleOut launch is the PerfecTee. I was glad to see that HoleOut didn’t make any “best in the universe” type of claims, though I guess the name implies such. For me, it performed like any tee – held the ball off the ground so I could attempt to hit it far and straight. The tee is USGA conforming and a standard 2-3/4″ length. Did it perform better than my basic wooden tees? Not that I could tell, but I’d love to see some robot testing statistics. I will state that my swing felt smooth in the impact zone. Another tester I recruited stated he felt little resistance at impact, but no discernible change in distance or accuracy. Durability was good and one tee lasted an entire round with no visible scars or bends. I did break another tee after about 25 drives on the range. The design allowed the tee to slip into the ground easily, even on some hard patches. One aspect of the PerfecTee that takes a little coordination is having to align the Driver Impact Pad, but I developed a routine after a few hits. I do worry about slow play and golfers taking a few extra moments trying to get the tee perfectly aligned similar to what happens in putting with a line on the ball. At $4,95 the PerfecTee is a great value and worth a try. HoleOut makes some bold claims that match up well with their visually appealing packaging. The playing and training tools inside are well crafted and offer the potential to make your playing experience better. I didn’t find any of the products revolutionary, and individually they may not be a hit with every golfer, but within the suite of products, there’s something for everyone. The company is confident in their products; HoleOut offers a 30 day refund period if you aren’t satisfied.